You might have seen many people feeding curd to their kids before they are leaving for exam. This is also a similar remedy but there is some variation to it. 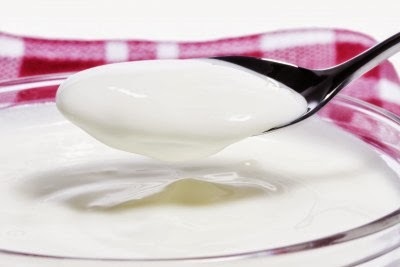 In this remedy the time of giving curd will vary everyday. The schedule should be adjusted in such a way that on the last day the curd should be given 1 hour before the exam. For the second last exam the curd should be given 2 hours before exam and so on. Apart from giving curd, a tilak of curd should be applied on the forehead and jaggery should be eaten just before leaving home. Can we do.this upay when one exam is already over? Yes you can still do it. Calculate it from your last exam. If the last exam is at 12:00PM then on that day the curd should be taken one hour before exam. For second last exam the curd should be taken 2 hours before the exam and so on. Thanks for sharing this tip. When exam starts at 8.30am what to do??? My kid is 10yrs old. She reads very well and do everything fine but when come to Annual exam she has a over confidence. Due to that spoils answers presentation. Kindly do not say just 10yrs old . Her syllabus in ICSE is more. So i will try to follow your tips with my daughter who's exams start on Next monday i.e 10th March. Kindly guide me. Start the timing from last exam. If last exam is at 8:30am then the curd should be given on last day at 7:30am. For second last exam curd should be given at 6:30am and so on till you reach first exam. You have to give the curd even if she has to be woken up from the sleep due to early morning hours for first few exams. What if there is only one exam? The exam starts at 10AM on wednesday. Sir I have exam tomorrow at 9 am when should I take the curd? And I am very nervous I cannot concentrate even on my studies... Please reply sir..